Question:How much concentrate will I get out of my coffee? Answer: With our domestic unit (30L) and one pound of coffee, you should get approximately 32 ounces of concentrate. This is only a approximation results may vary. Question: How long will my concentrate last? Answer: Based on the results of our lab study. The shelf life of the coffee concentrate held under optimal conditions (45ºF) is greater than or equal to 6 weeks. At the six week test interval, a thin layer of microbial growth was evident on the surface of the concentrate held at 75ºF. Therefore, the shelf-life of the coffee concentrate held at abuse conditions is 5 weeks. With that said we recommend that you store your concentrate in the refrigerator. Question: How often do I change my filter? Answer: We recommend that you change your filter about every 3-4 months when brewing once a week. Question: Do I need to use the paper liners? Answers: The paper liners are not required just recommended. 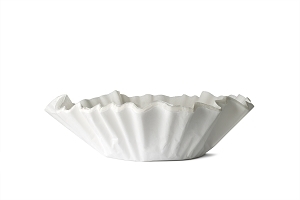 The paper liners will keep the coffee grounds off your filter pad extending the life of your filter pad.It will also make for easy cleanup as well. Question: How much water do I use for 1 pound of coffee? Answers: With the 30L unit we have pre-marked the water bowl with markings that specify 1lb which is 64 ounces of water, and 3/4 pound which is 56 ounces of water. Question: Does the filter pad for the newer models fit the older models? Answers: Yes, Filtron Filter pads have never changed size. 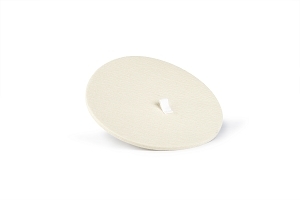 Our filter pad are approx 3" in diameter and has a tab sewn on the center of it. Please keep in mind that heavily used pads have the tendency to shrink. Question: Are our products BPA free? Answer: Yes.. All of our components are made from BPA free material. We hope that we have answered any of your questions about our Cold Water Coffee Brewer. If you have a question that is not here please visit the contact page and we will be happy to help.